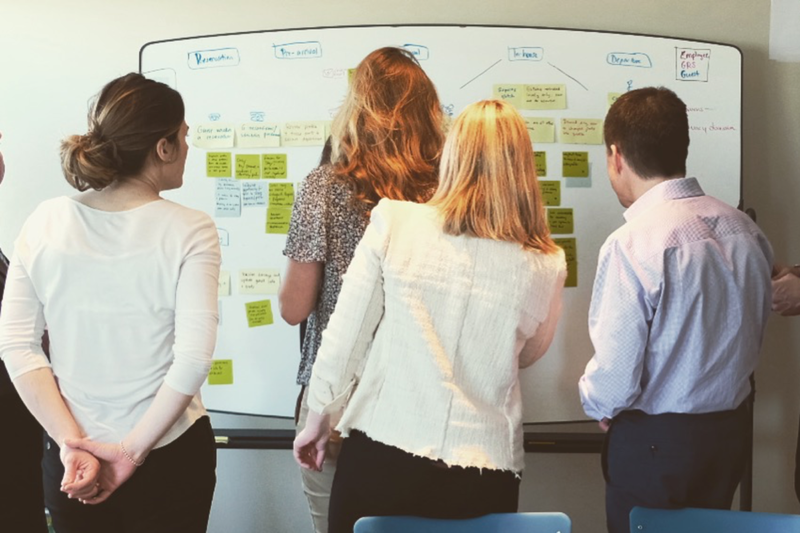 Experience maps are a UX artifact that I create to help clients and project teams better understand the complex interactions that occur in a customer's path towards achieving a goal. The maps are informed by collaboration and research, they are developed to both illustrate the customer journey and identify points of opportunity for new ideas or improved experiences. While the design of the maps varies based on the context for which they are meant to be used, each map follows a model of: persona, goal, channels, phases/processes, actions, thoughts, feelings and opportunities. In support of the redesign of the e-commerce website for a backcountry gear company, I researched and developed a user journey map that explored a 'slackcountry newbie's' point of view through the process of purchasing their first touring setup. As part of a project for a major Canadian financial institution. I researched and developed a customer experience map to illustrate the customer's perspective when exploring the prospect of borrowing money. As part of an experience review of a travel rewards program for a major Canadian financial institution, I created a user journey map based on a customer persona. The map explores Matt's journey from consideration of point redemption through to post-travel experience.